The replace item option allows you to replace items from your inventory with another product. 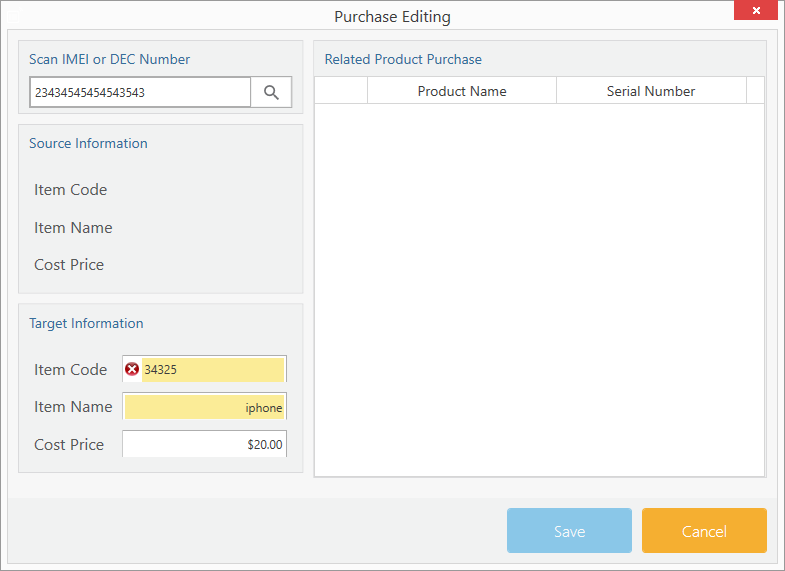 By editing the original purchase of the product you are able to replace the items you have in your inventory. Then, click on the Replace item icon. In the IMEI field, scan or enter the IMEI number of the device you wish to replace. After the software detects the exact product it will be displayed in the box. Make sure the product is correct and enter the Item code of the product you wish to keep.